Caprolactam Project in the Field of Chemical Process - Beijing, China - Hofmann (Beijing) Engineering Technology Co., Ltd. The typical case of Hofmann (HFM) spiral plate heat exchanger in the domestic chemical industry. 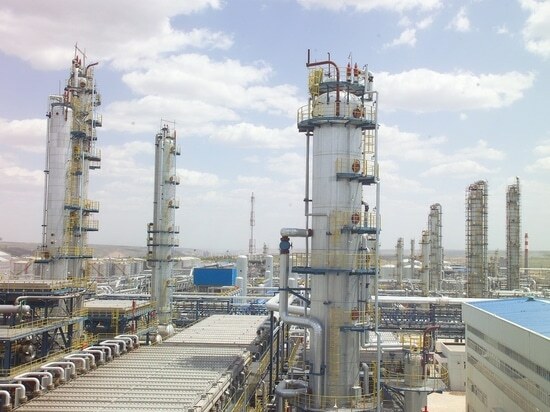 The first phase of investment of Tianchen Yaolong is about 4.2 billion Yuan, with the construction of 200,000 tons / year caprolactam project, which is the world's largest single production capacity of caprolactam project line. The project was successful on August 4 to produce high quality caprolactam products. In this project, Hofmann (HFM) provides heat transfer programs and equipment of the production line to guarantee the success of this production plan, which is a typical case of the application of Hofmann (HFM) plates in chemical process. China Tianchen Engineering Co., Ltd. (hereinafter referred to as Tianchen), formerly known as the Ministry of Chemical Industry First Design Institute, established in 1953, is the intelligence-intensive, technology-intensive, capital-intensive state-owned enterprise. 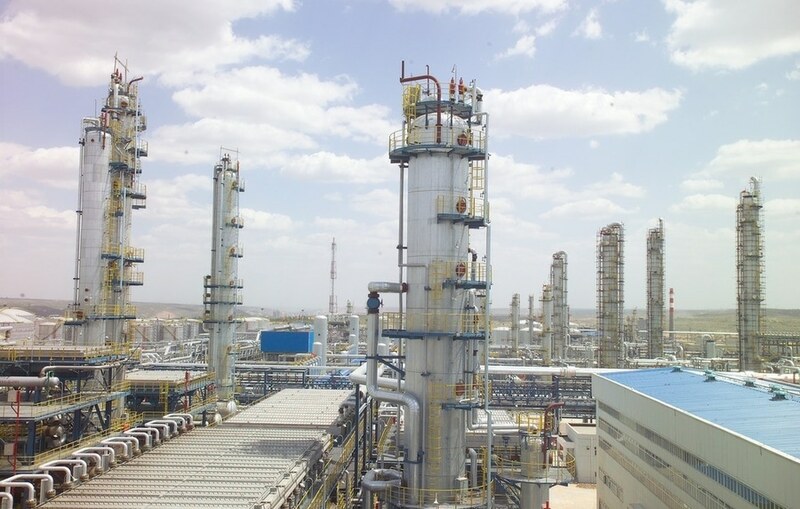 The first phase of investment of Tianchen Yaolong is about 4.2 billion Yuan, with the construction of 200,000 tons / year caprolactam project, which is the world's largest single production capacity of caprolactam project line. The project was successful on August 4 to produce high quality caprolactam products. Company production capacities are: an annual output of 200,000 tons of caprolactam, 320,000 tons of ammonium sulfate, 300,000 tons of hydrogen peroxide, 300,000 tons of sulfuric acid, 56,000 tons of cyclohexane. After the project put into production, it is expected to achieve annual output value of 4.5 billion Yuan, over 550 million Yuan profits and taxes. It will play a positive role in the construction of the new material industrial park and the target of 100 billion industrial parks in Jiangyin industrial concentration zone. In 20 million tons / year caprolactam project, plate heat exchangers and spiral plate heat exchangers provided by Hofmann (HFM) are used for its production process chain. This application is a typical case of Hofmann (HFM) spiral plate heat exchanger in the domestic chemical industry. Two plate heat exchangers, two fully welded plate heat exchangers and five screw plate heat exchangers are used. Plate heat exchangers are used for pure water heat transfer, all-welded plate heat exchangers are used for hydrogen peroxide cooling, spiral plate heat exchanger are used for pelletizing water cooling, spray water cooling and benzene stripper heat transfer. As high heat transfer efficiency, small footprint, reliable performance of plate heat exchanger, which can reduce operating costs and save energy for customers to create more economic value and production security. Since 2013, Fujian Tianchen Yaolong New Material Co., Ltd. cooperated with Hofmann (HFM), has made these types of plate heat exchanger for 200,000 tons / year caprolactam project process section. Through in-depth technology explore, Hofmann (HFM) provides on-demand heat transfer solutions that improves the heat transfer efficiency and ensures that the temperature accuracy of caprolactam. So far, Hofmann (HFM) together with Fujian Tianchen Yaolong New Materials Co., Ltd., Shanghai Huxing Chemical Equipment Co., Ltd., Jiangsu Haili Chemical Co., Ltd. and other well-known enterprises in chemical industry has established a long-term partnership.